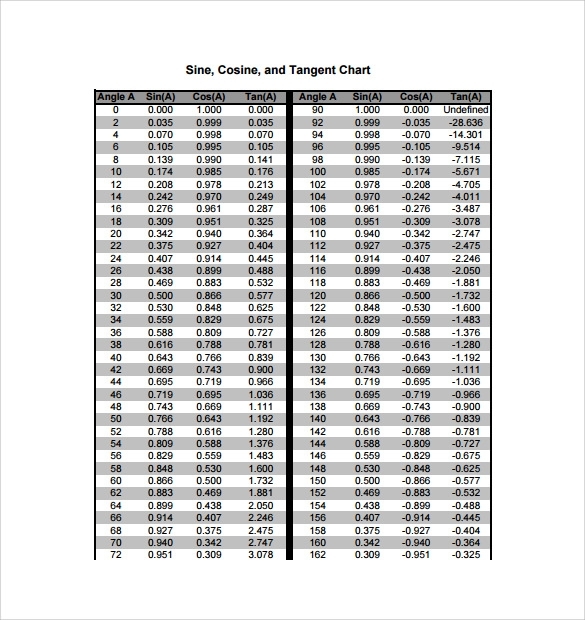 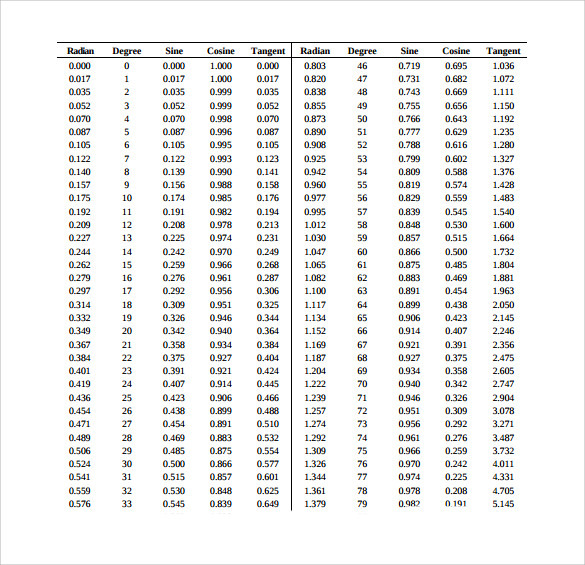 Sin Cos Tan Chart is very important for higher mathematics students and teachers alike. 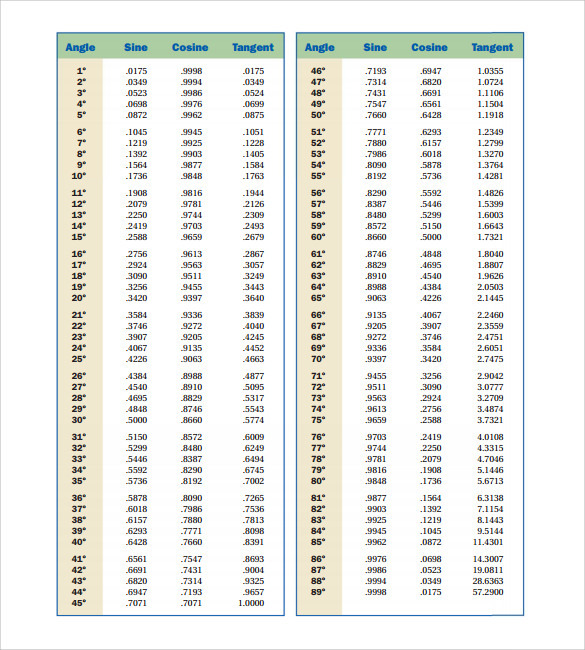 This chart is also called trigonometric chart which contains the trigonometric angular values of sin, cos, tan, cot, sec and cosec from the angle 00 to 900. 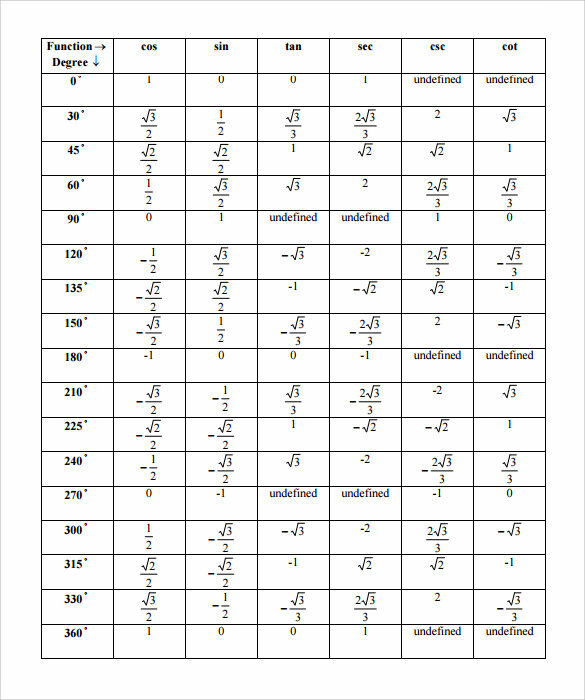 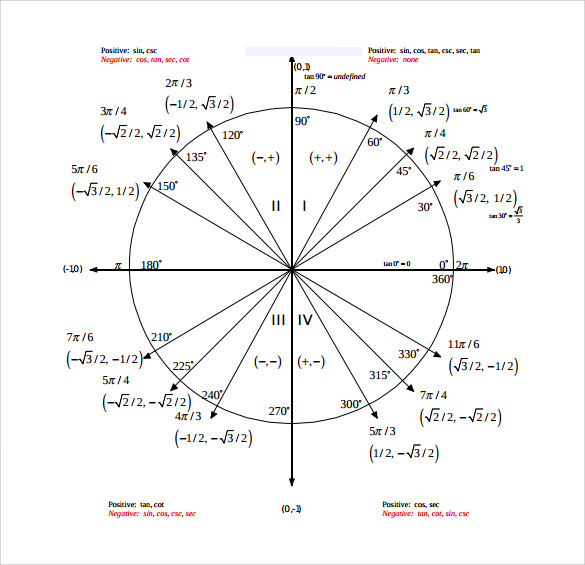 Students and teachers use this readymade chart to refer to any angular value of these trigonometric functions.You may also see unit circle charts. 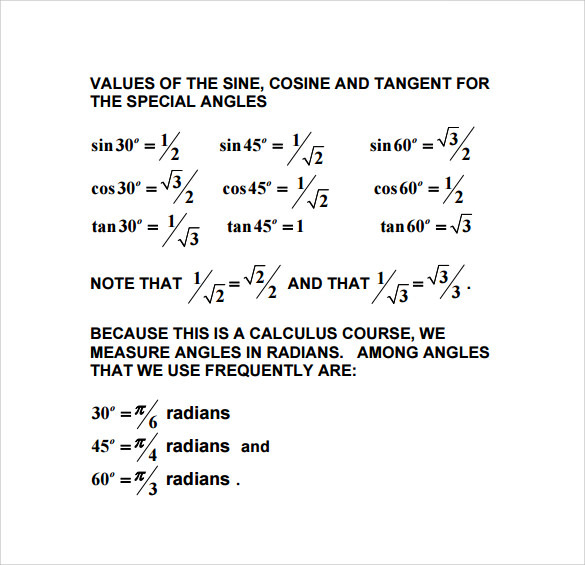 There is also a specific way to remember the values of these trigonometric functions without cramming blindly. 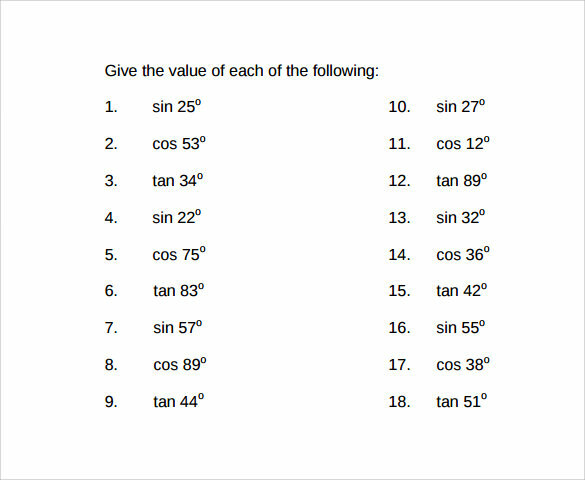 As a whole, Sin Cos Tan chart is a must keep for every mathematics students, which after a few days they could easily remember without referencing them.You may also see math charts.